Last month, archeologists announced the discovery of a skeleton under a parking lot in Leicester, in the English Midlands. Not just any skeleton, but likely the remains of King Richard III, painted by legend, history and William Shakespeare as a murderous double-crosser. Think a Middle Aged scheming dictator prototype. Echoing the theme of “bury the bigwigs in a forgotten grave,” on Sept 28, Michigan police drilled under a shed where a tipster said the body of infamous Teamsters union boss Jimmy Hoffa, missing since 1975, had been buried. Within a week, the samples proved to be devoid of any human remains. Both Richard and Jimmy likely had bloody hands. Hoffa was notorious for ties to the Mafia. 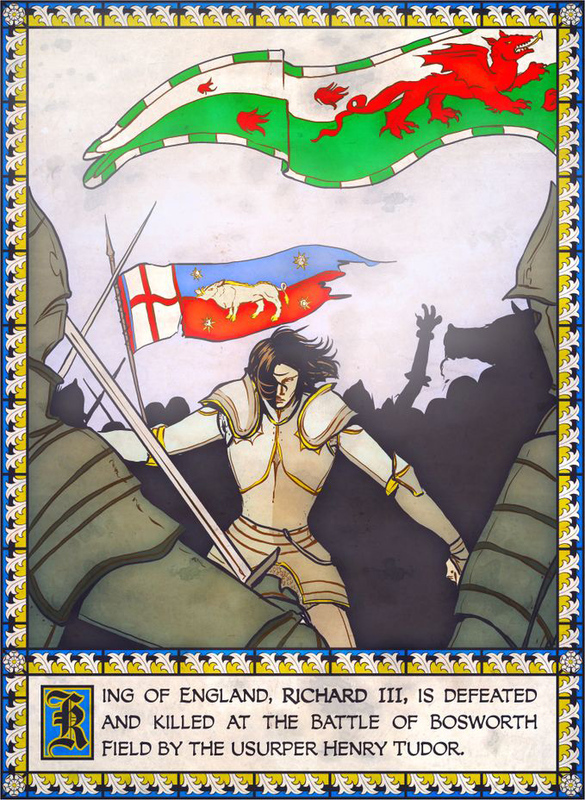 It’s debated, but in his brief reign, Richard supposedly killed his nephews to gain the throne, then caught his comeuppance in the Battle of Bosworth Field in 1485. Richard was particularly keen to uphold the law of the land and to ensure that it was made available to all ranks of society. His first act as king was to summon his judges and command that justice be administered impartially and without prejudice or corruption. 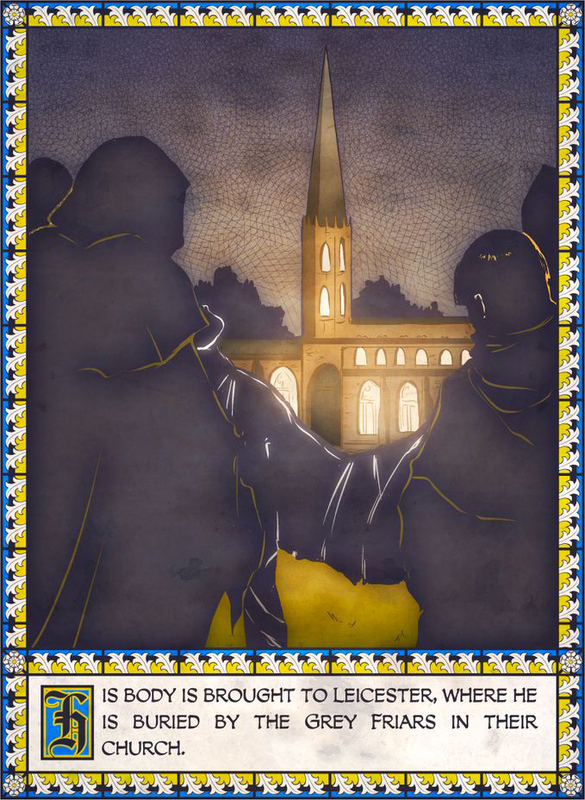 In December 1483 he initiated the Court of Requests, a system of legal aid which enabled those who could not afford representation to have their grievances heard. Richard’s last above-ground days featured a two-day, horseback parade of his naked, broken corpse through Leicester. Then he was buried in Greyfriars Church, since demolished. The victorious Tudors crowned Henry VII, ending the War of the Roses and establishing the Tudor monarchy, which ruled until 1603. King of the car-park, or all of England? For certain, Richard III was the last English King killed in battle, and the only one whose gravesite served as a car-park. A parking lot, as we Yankees call it, is where a team led by archeologist Richard Buckley of the University of Leicester unearthed the suspect skeleton earlier this year. Finding Richard’s remains could be the archeological coup of the century in Britain — if it’s true. The ongoing investigation is unusual, though not unique, due to the wealth of history about Richard and his era, and the desire to identify the bones rather than just understand them. Now that the archeologists have removed the remains and covered the site for protection against winter, we wonder: How do archeologists start to explore a body found in the dirt? What’s in the grave? 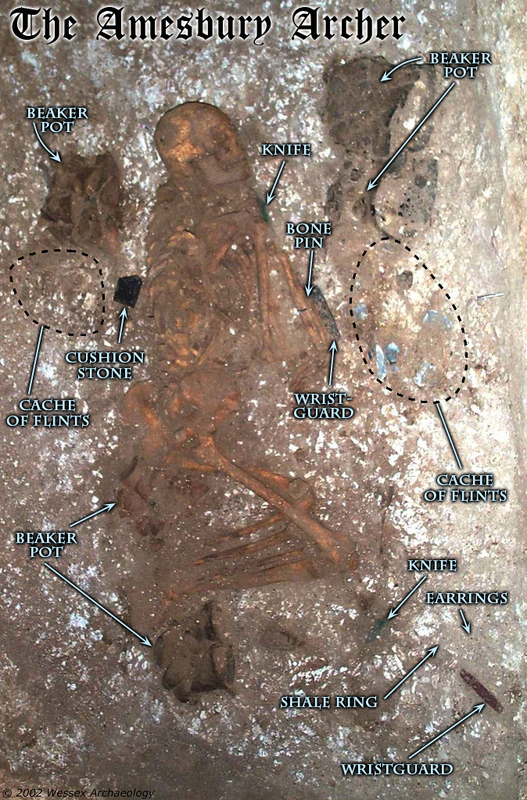 Objects placed with the body reveal how survivors regarded the dead person. How old are the bones? Radiocarbon dating measures the decay of an unstable carbon isotope that stops entering the body at death. This standard technique can show if the carbon-14 level has been falling since 1485, when Richard died. The Amesbury archer, dating to about 2300 BCE, had the most artifacts of any Bronze-age burial in Britain. “Grave goods” provide a nuanced picture of a person’s life and death. Richard died in battle, and we’ve already heard that the back of the skull shows a major bash-in. Fracture near the time of death should be distinctive, says Tiffiny Tung, in the department of anthropology at Vanderbilt University. Isotopes — chemically identical atoms with different masses — are some of the subtlest tracers in the physical realm. Oxygen and strontium isotopes are both likely to enter the Richard case, says T. Douglas Price, a professor emeritus of anthropology and isotope expert at the University of Wisconsin-Madison. Michael Ibsen, a descendant of Richard III, is not brushing his teeth in public. He’s swabbing his cheek to supply DNA for geneticist Turi King. With luck, DNA testing will help identify the mystery man found beneath the parking lot. Oxygen in rain can enter drinking water and lodge in the bones and teeth; the ratio of lighter and heavier oxygen isotopes is affected by climate, elevation, latitude and distance from the ocean, says Price. As bedrock breaks down, its strontium content enters the soil and then plants, and finally the bones of animals that eat those plants. Strontium is more useful since it can carry finer geographic distinctions, but neither isotope is likely to identify the Leicester body, Price says, because Richard was born nearby. However, if strontium and oxygen show that the dead person grew up a long distance away, they could disprove the Richard hypothesis. 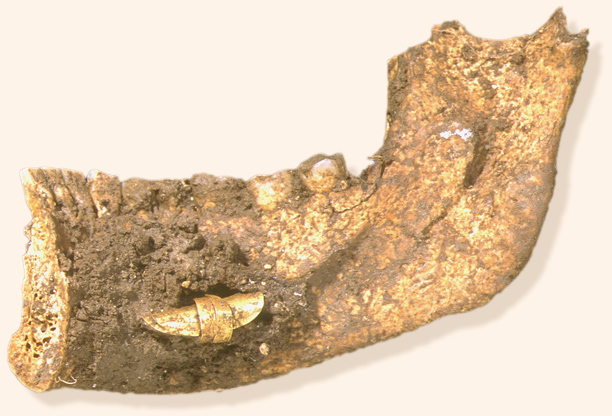 A jaw found near the Amesbury Archer contained gold earrings. Teeth are an excellent source of isotopes for analysis. To gauge the health of past populations, archeologists routinely comb DNA, looking for evidence of infectious disease. Now we hear about a technique that shows how a once-living person responded to these infections. 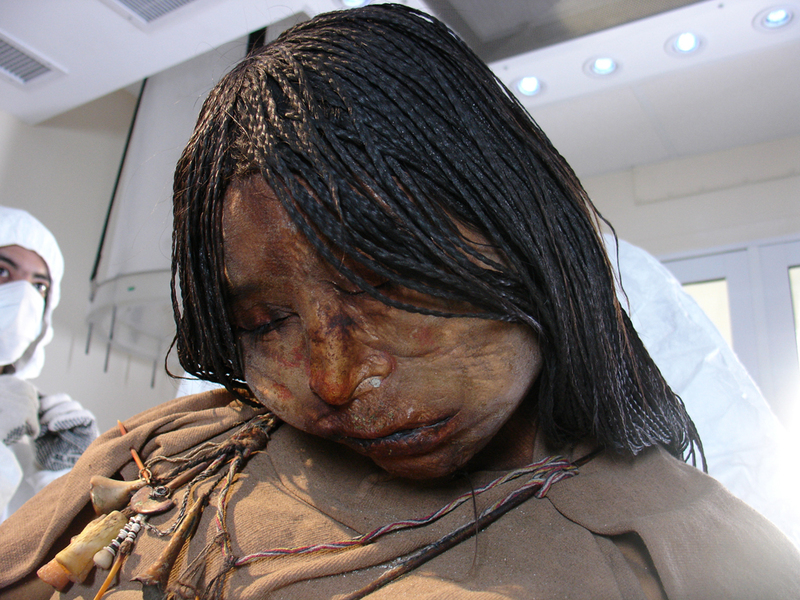 In a study of a 500-year-old Incan mummy called “the maiden,” Angelique Corthals, of Stony Brook University School of Medicine, swabbed mummy lips and used mass spectrometry to catalog amino acids in the sample. Much as calumny and vituperation can be the “bricks” of political campaigns, amino acids are the building blocks of proteins. “We are getting, literally, the fingerprints of the amino acids,” says Corthals, an assistant professor of pathology. By identifying immune-system proteins based on the amino-acid profile, Corthals concluded that the Maiden died fighting a lung infection. Proteins analyzed 500 years after death show that this young girl died with lung disease caused by a Mycobacterium (a member of the group of bacteria that also causes tuberculosis). Analysis of immune proteins could answer persistent doubts about the cause of black death, which decimated medieval Europe. The maiden was a “virgin of the sun, a girl chosen to stay within a specific compound and be a servant to the Inca emperor in Cuzco,” says Corthals. “Living permanently in close quarters … with open earth floors could be very irritating to the lungs,” likely setting the stage for opportunistic infection. The new technique allows a tiny sample to be tested directly, with no need to grow a larger sample. That reduces the chance of contamination by modern proteins. The maiden study shows how analyzing proteins can flesh out the picture provided by DNA, Corthals says, especially since the immune response has a major impact on the course of an epidemic. 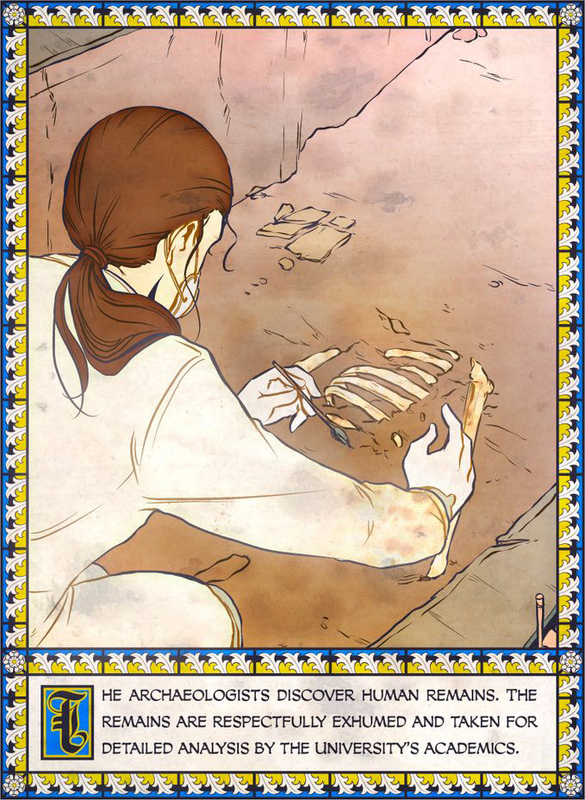 Bones fascinate detectives and archeologists alike. Now, a police officer who is also a Ph.D. archeology student has applied geographic information systems (GIS) to bone structure. David Rose says he’d been “involved in forensics across the state, shooting reconstructions, general crime scenes, and that was how I ended up in grad school” at Ohio State. Dots in this cross-section of a foot bone mark osteons — structures that fix small cracks and maintain blood minerals. Repetitive use makes bones stronger and denser — which translates into more osteons. 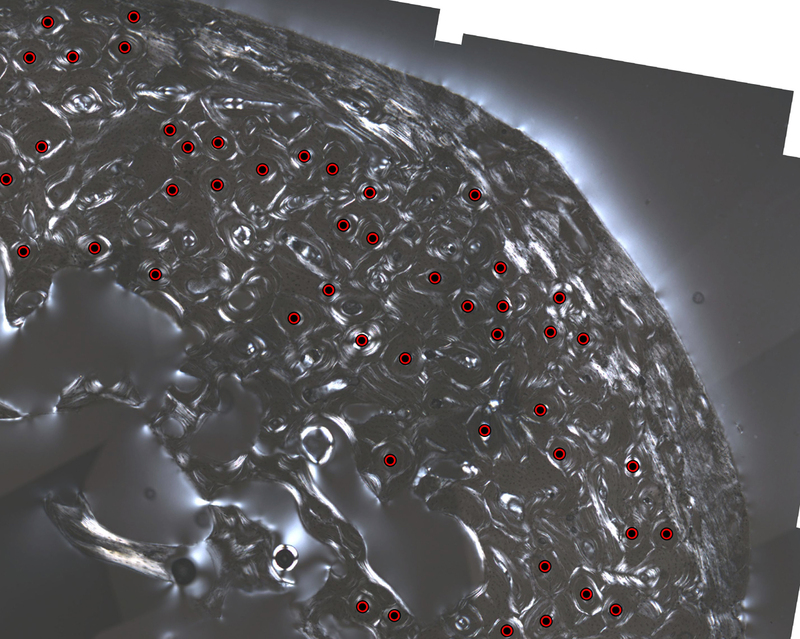 Using an optical microscope, Rose has developed GIS tracking for osteons, circular growth centers in the bones that are about 250 microns across. Rose hopes the mapping software can reveal fine distinctions in occupation or history — distinguishing, for example, a mason’s hand from a farmer’s, due to their use of different tools. The new approach has yet to be used in detective work or to study osteoporosis, says Rose, who is still working as a captain in the Ohio State police department — and still working toward for his Ph.D. in archeology. 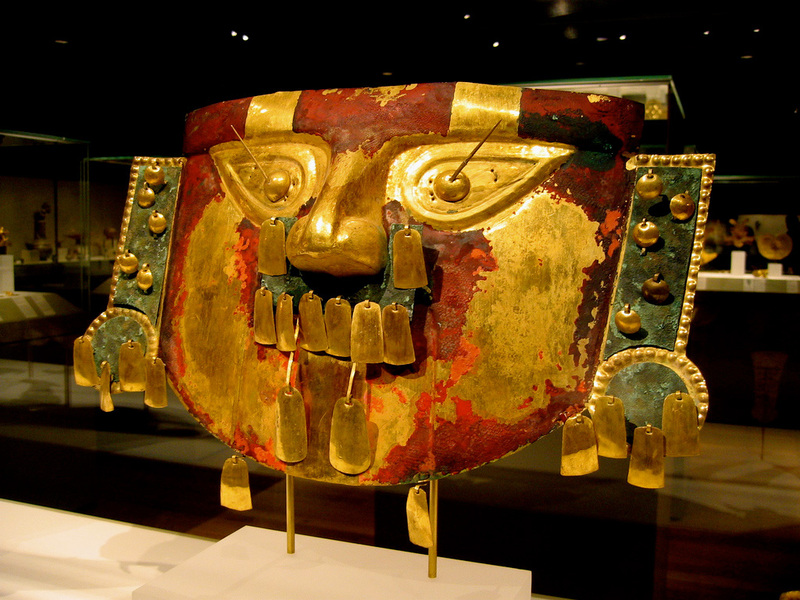 10 or 11th century, a funerary mask from Lambayeque, Peru is made of gold with copper overlays, painted with cinnabar, a red ore of mercury. The mask is 11.5″ (29.2 cm) high. Masks like this show the burial of a rich and/or powerful person. In archeology, the entire context of the remains usually contains clues. Is there a bloody residue on the body or garments? Did anybody wash the body after death, which signifies respect but deletes clues? Do ceremonial objects like crowns or jewels indicate high status? Knight re-enactors “guard” the burial site of a corpse that may be Richard III, the last king of England to die in battle. 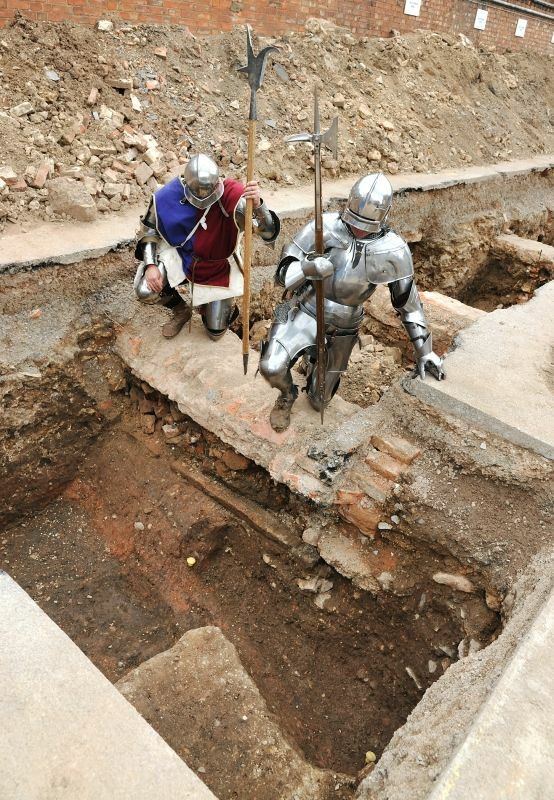 Unless the subject is a forensic investigation following tyranny or genocide, or a “high value target” like Richard III, archeologists seldom seek to identify a person by name. Kings are often identified by writing or objects in the grave, which have not been reported for Richard. Everyday Archeology: How Did Common People Live?